A pedestrian was taken to hospital after a collision with a car on the A2100 near Hastings, police have confirmed. 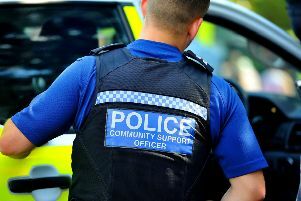 Sussex Police received a report at 5.16pm on Tuesday (January 15) of collision between a car and a pedestrian in Junction Road at the corner of the A2100 The Ridge, Hastings. A spokesman for the South East Coast Ambulance Service said one ambulance crew attended the scene following reports of the collision. He said a woman, suffering from injuries including an elbow injury was assessed and treated at the scene before being taken to Conquest Hospital. Police described the injuries as ‘slight’. The road was closed in both directions until 6.15pm while police dealt with the scene. Police said there were no further details.